D9 + ammo = Dangerously good! 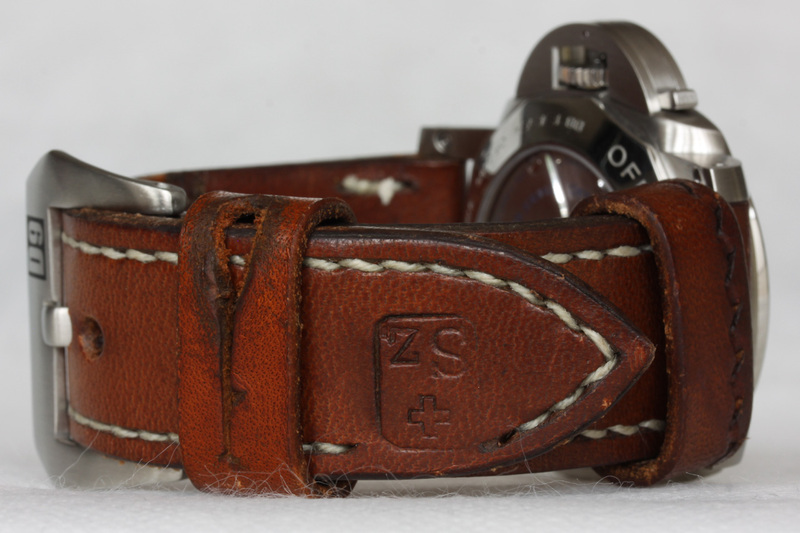 This has been a small project in the works ever since I got my 233; a vintage Swiss-ammo strap! 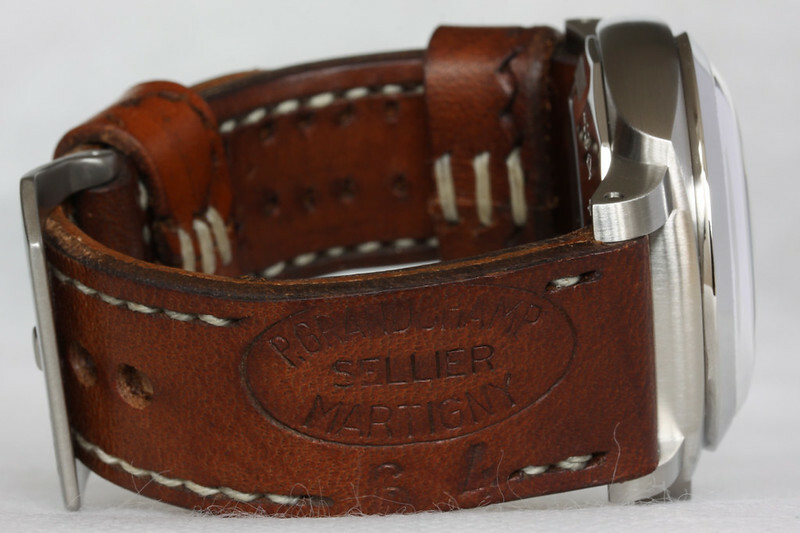 It took a while to find "the one", because there are a number of excellent strap makers out there working with the ammo. 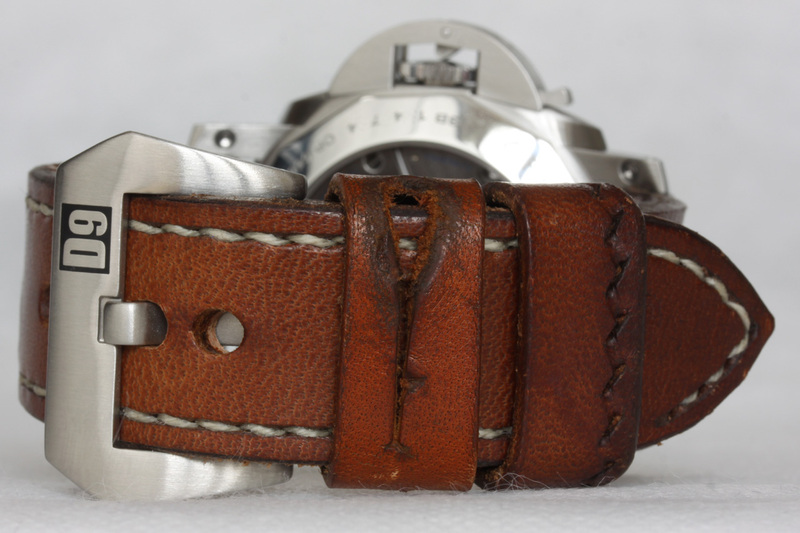 Ammo, like all vintage straps is made from older leather that usually has some history behind it. All so-called ammo straps are made from ammo pouches, that were used by many military services in Europe. 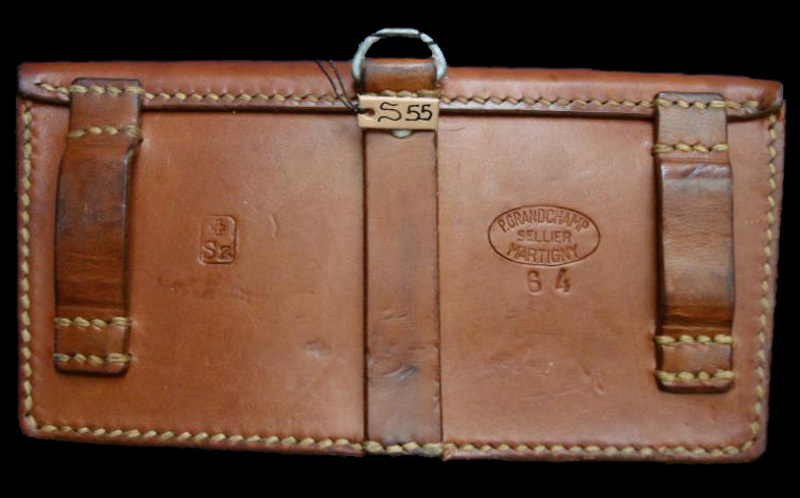 Swiss, French, German and Swedish ammo pouches are among the most popular. I saw a lot of killer ammo straps, many (if not most) with their own unique stamped logos and/or dates. A very hard choice indeed, but what tipped the scales was when I was given the possibility of selecting the actual ammo pouch to be used to build the strap... ! 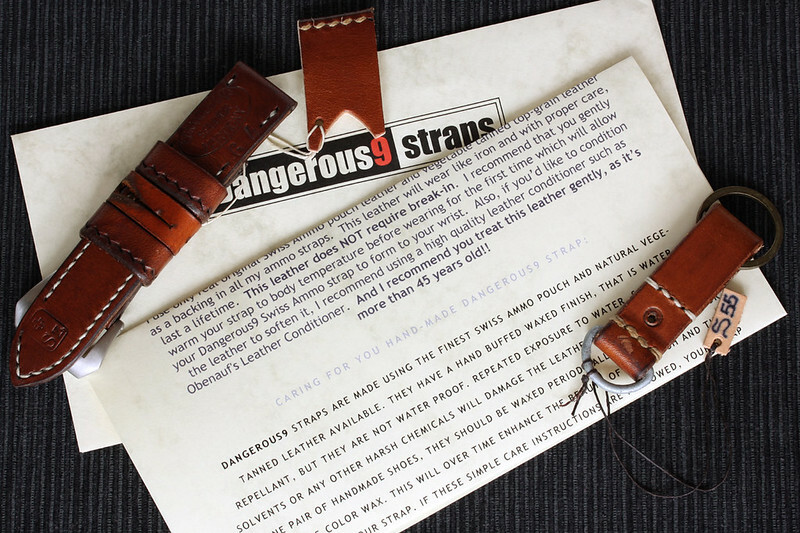 Dangerous 9 Straps, or D9 for short, is John the going-back-to-Cali strap maker currently residing in Munich (DE). John works with numerous materials and in fact ammo may be one of the more newer materials in his arsenal. 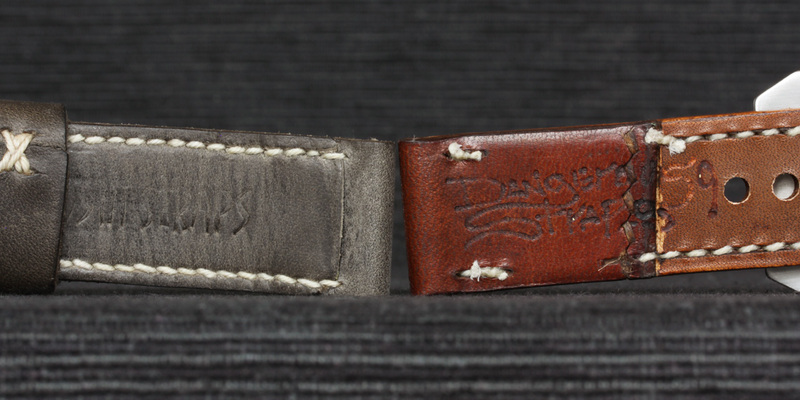 Be that as it may, it didn't take long for him to whip up some killer-looking ammo straps! John has many pouches in stock from several Countries and he lists them all on his blog. If one sings to you, well a couple of emails and roughly eight weeks later you'll be able to wear that very same pouch on your wrist! 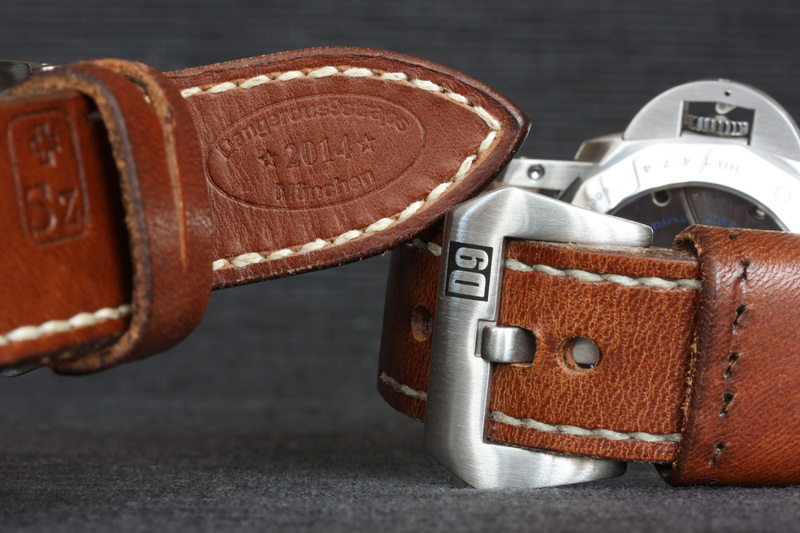 The strap is meticulously crafted, the finish is tops. The color of the original pouch was a bit on the light side for my taste and John managed to darken it to my liking. 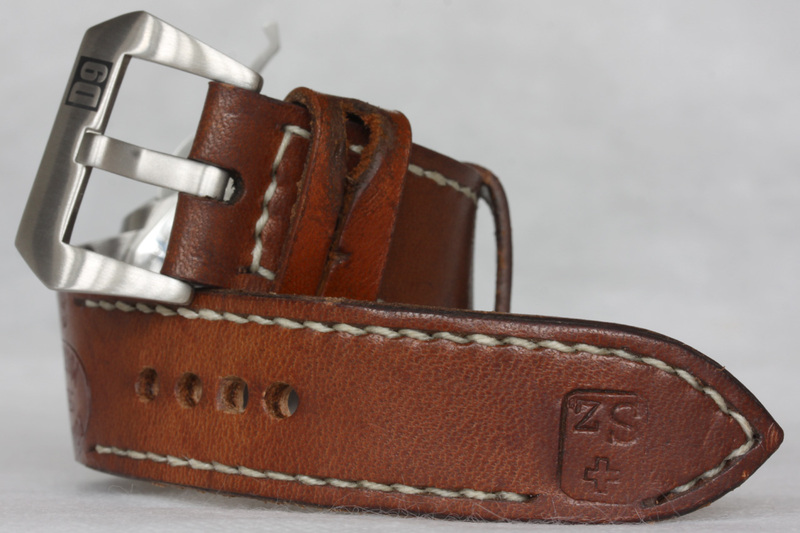 John's screw-in buckles are above-average for aftermarket fare, very nice! My typical strap size is 125/75 but John recommended to go with 130/75 and I'm glad I did. John was gracious enough to provide not one, not two, but three keepers, in the event one gets lost. 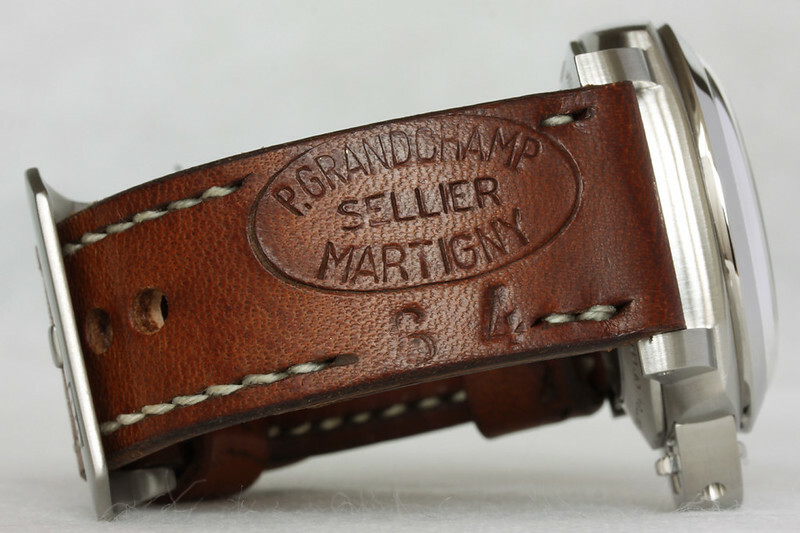 The keepers are little artworks in themselves and an integral part of the straps overall character. at around 11mm, a decent-sized keeper, but I prefer mine a bit thicker, around 15mm. As such, one keeper is a bit barren, two keepers a bit crowded imho. For now, I'm going with the one keeper. 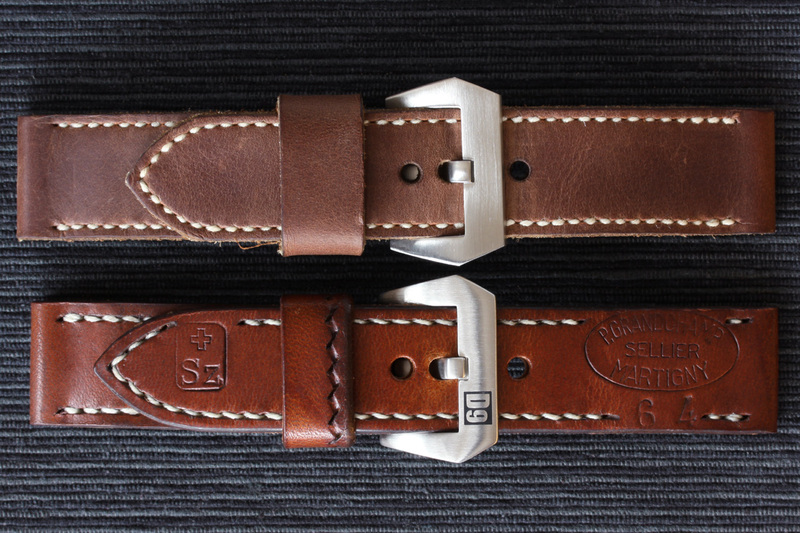 Seeing as this is my first ammo strap, not to mention first vintage strap, take my comments with a proverbial grain of salt. Wearing something with some history to it is pretty damn cool (and isn't this one of the main reasons we love Panerai?). unique markings, stamps and dates only add to the whole appeal! The look of an ammo strap is quite unique; either you love it or don't. 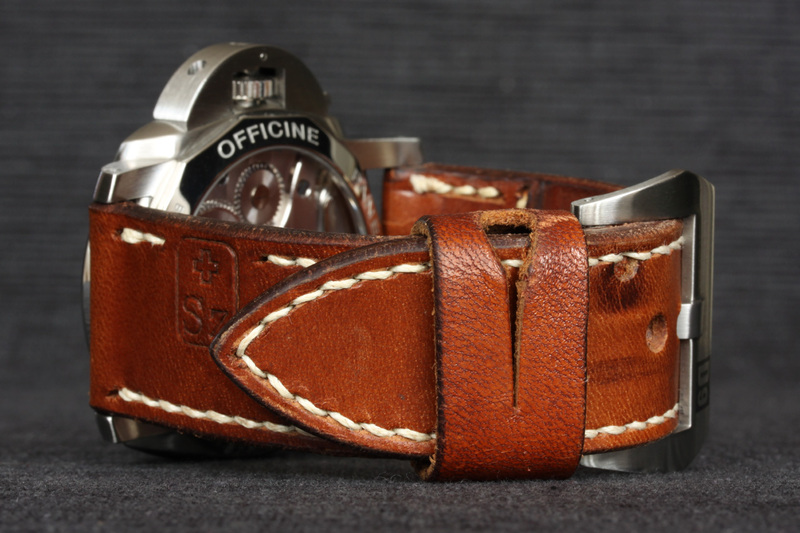 Needless to say, John's done a great job with this strap and it looks absolutely fantastic! Looks aren't everything though and there are a few other traits that come with the territory. For one thing, leather that's been sitting around for years in some dark cellar will, well, smell like it's been sitting around for years in some dark cellar! 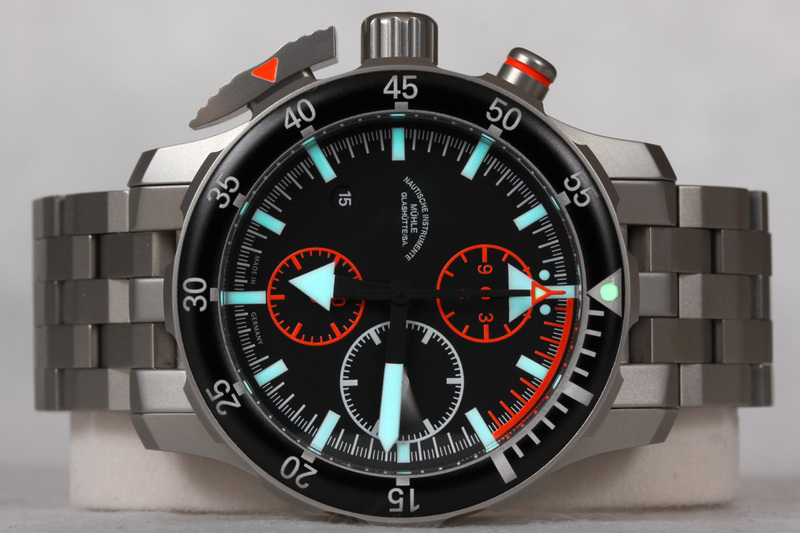 I thought the oils used by the strap makers would permanently mask any such odors but this appears no to be the case... . No, you won't notice it when the watch is sitting on your wrist... until you raise your fork at the dinner table... 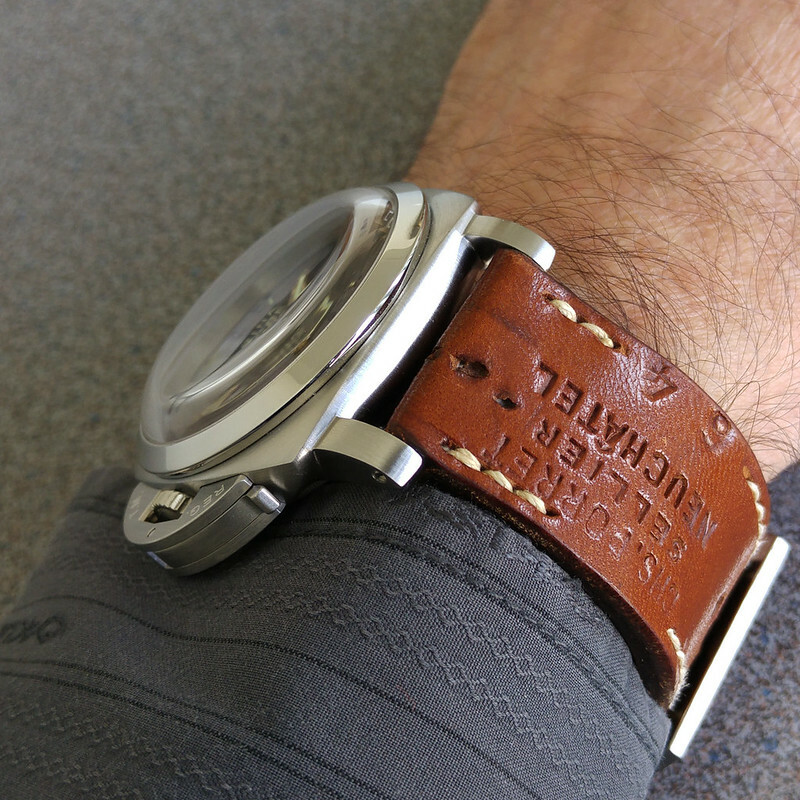 The other characteristic of the strap is it's stiffness. Of all my straps, it is the stiffest by far. My Toshi straps are pretty damn thick at almost 5mm, but no where near as stiff at this ammo. In his introductory letter, John states that this is normal and your body heat should be enough to "mold" the strap to your wrist. Well, I'm still working on that... . 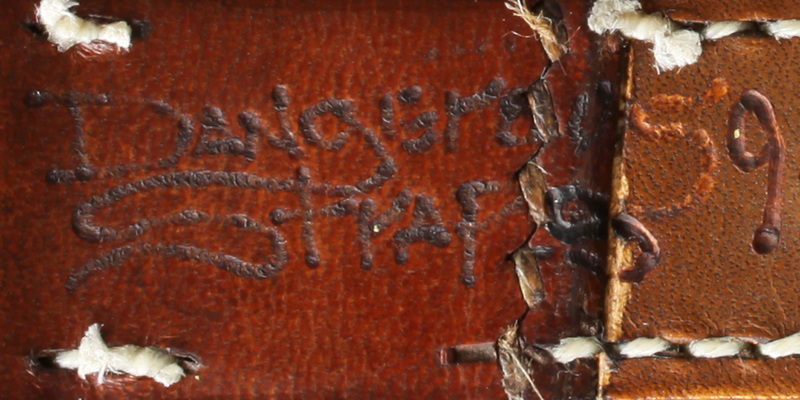 While all leathers are can easily be scratched during use, the vintage stuff needs a bit more TLC. 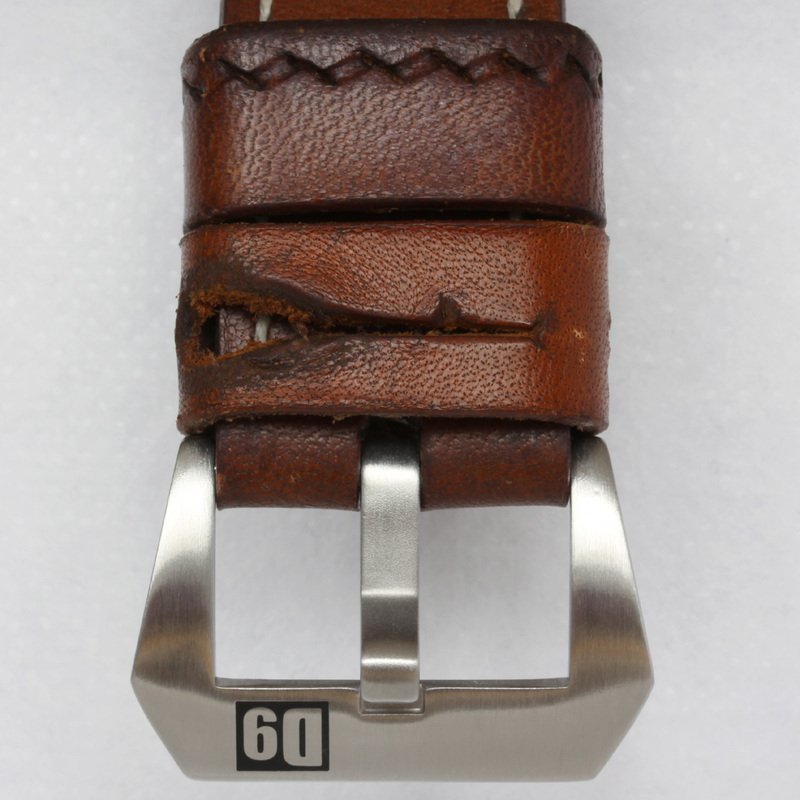 Just placing the buckle's "pin" in one of the punched holes immediately presented minute cracks in the leather. Hey, it's vintage... . I note that it "should be waxed periodically." Can yo post photos or a video when you do that? Now THAT'S a write up!! 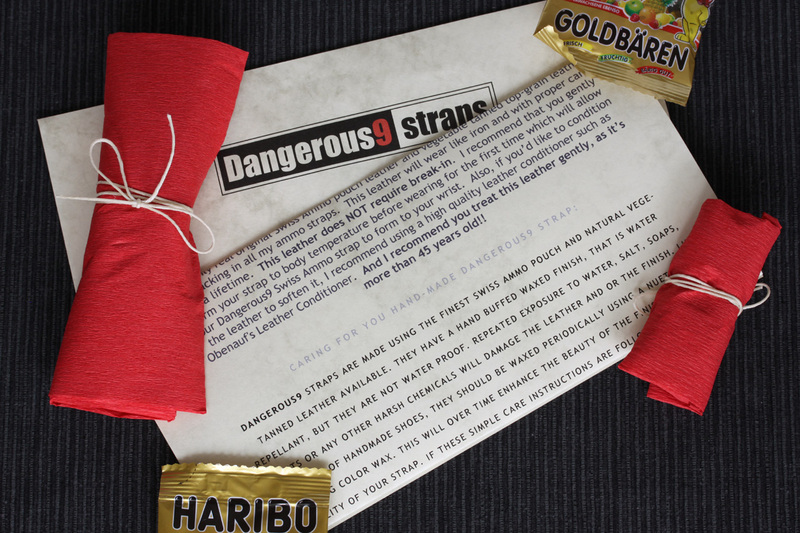 Awesome post and pictures, thanks. 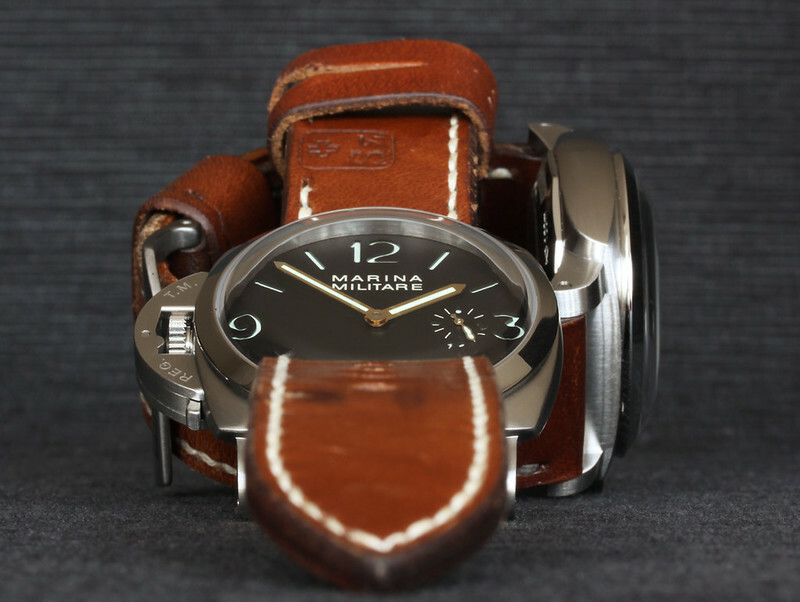 What a great looking strap. I think part of what inspired your long post is the experience working with John. He's a real pro and a superb person to work with. He seems very passionate about his craft. Truth be told, I have something coming from him in a few weeks (my first) that's a very different strap from yours and which I think will be special, too. The experience working with him and finding the "right" strap is like NOTHING I've seen before. I feel lucky to have found him. Now I just have to sit and hope the strap is as good as I hope. Great write up! Seems John has as great an attention to details as you do. 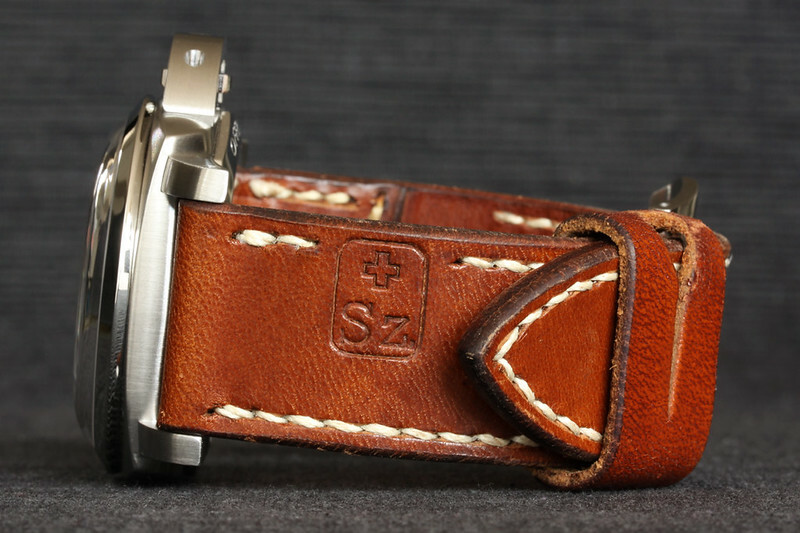 Strap looks amazing on your 233. Mate, those photo's are just perfect. I wish I could get pictures like that. Pretty cool write. Amazing straps. I'll be sure to check out their site . Very nice Serge I love it!!! they look real DANGEROUS, Serge! . Nice review as well. That's a really nice looking combo! I love my Swiss ammos...it will grow on you. 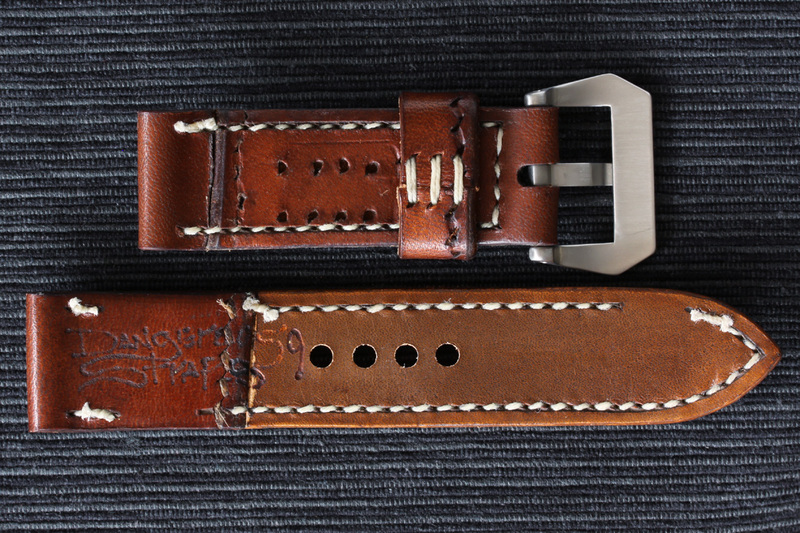 The smell and texture is what makes the strap special for me. That sounds exciting, can't wait to see what John makes for you Did you have a specific PAM in mind when you and John went through the specs? 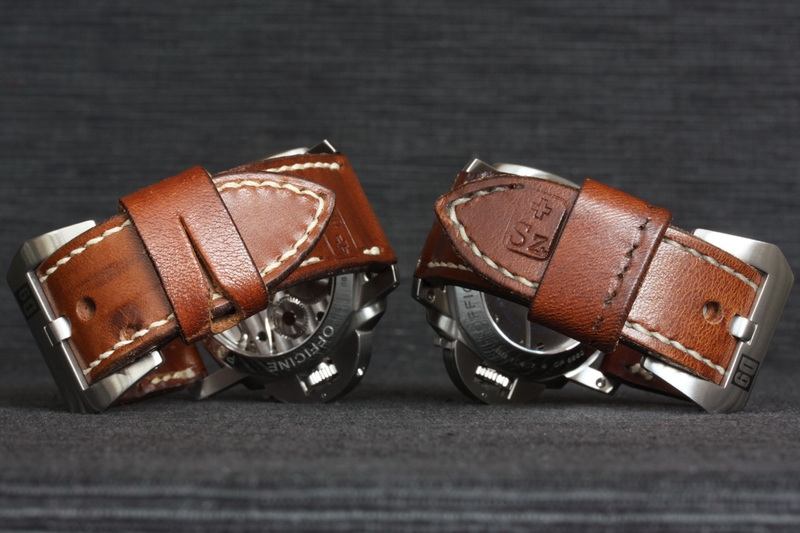 ... Strap looks amazing on your 233. 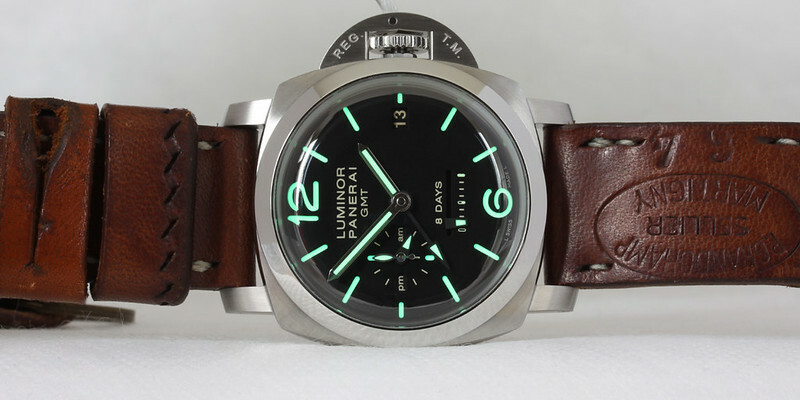 Oh yes, most definitely (since it's my only Panerai ). So at least that part was easy - he has so many options! And he takes the time to thoroughly explain each one if you ask. AWESOME craftmanship!! luv the stitching, perfect!!! The color on the strap came out great! congrats on a nice piece of art! You mentioned that the leather is stiff. How comfortable is it? Firstly, thanks for your pics. Every time I see a thread started by you I'm straight in there to see if it has pics. This one does not disappoint. I agree on the ammo strap thing. 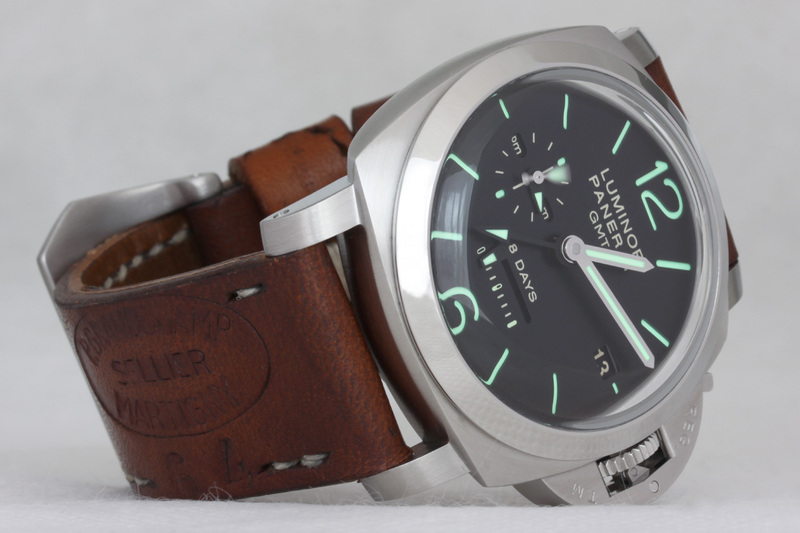 But interestingly, that's the only strap I'm wearing on my Panerai at the moment. It just says beat me. Thanks, Greg - always a big compliment coming from you How long have you had yours now? How can you have any pudding if you don't eat yer meat???? 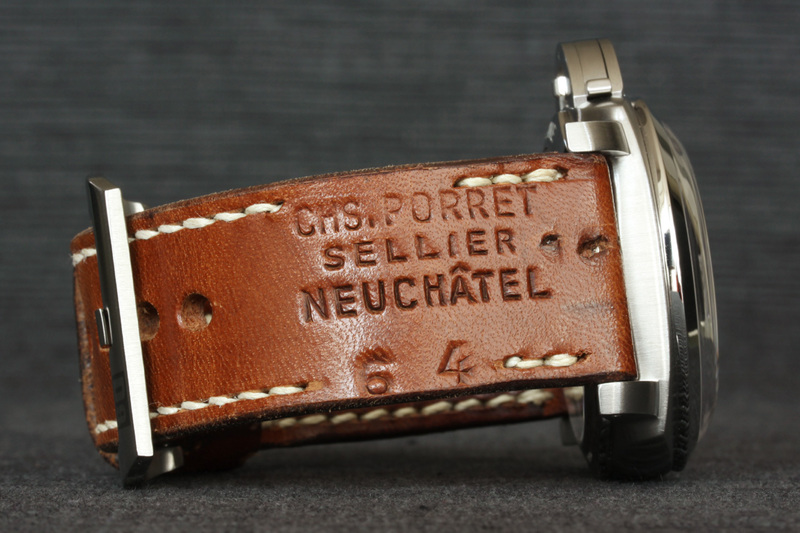 ...I noticed that the Switzerland (Sz) stamp is at the tail-end of the strap. Did you ask for it to be made at that location? (versus the lugs/base) I ask because I imagine that floating keepers could cover the stamp and thus hide it from being viewed and admired. I had the same question running around in my head before I ordered mine. Look at the photo of the bag again; if you visualize the 130mm section of the [long-end] strap, you will quickly come to the fact that these ammo pouches measure roughly 120x250mm. Now you need at least ~170mm for the longer strap and 100~150 for the shorter end (they wrap over to the other side - see photo below)... . This leaves very few options. 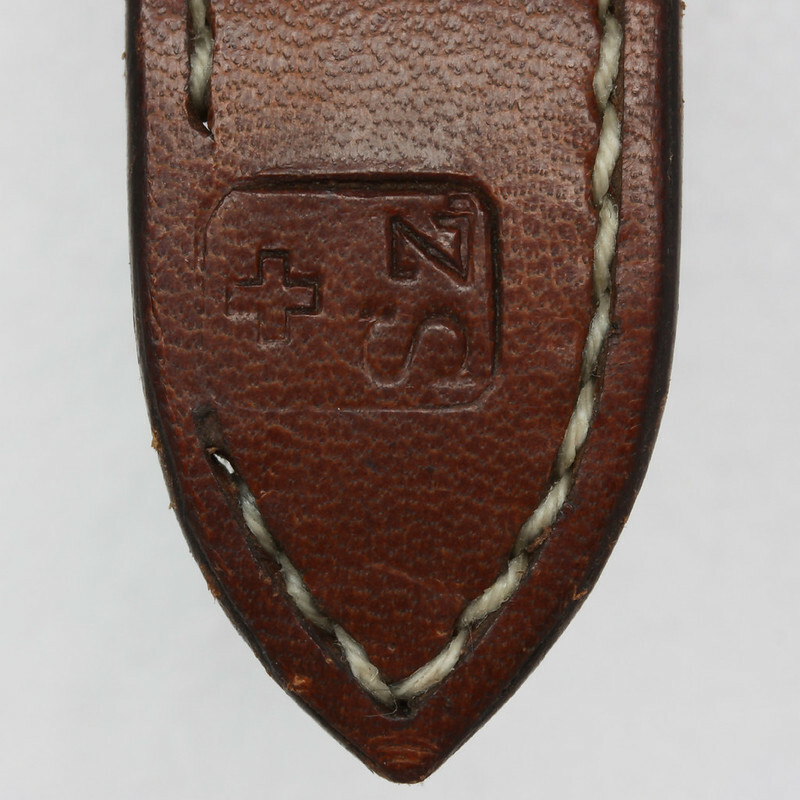 Sure, he could cut the long strap just short of the Sz (Schweiz) stamp and maybe incorporate the stamp in the shorter strap by cutting a diagonal strip from the pouch. *EDIT: The real figures are 130+40+5mm = 175mm for the long strap, 75+75+5mm = 155mm for the short side. 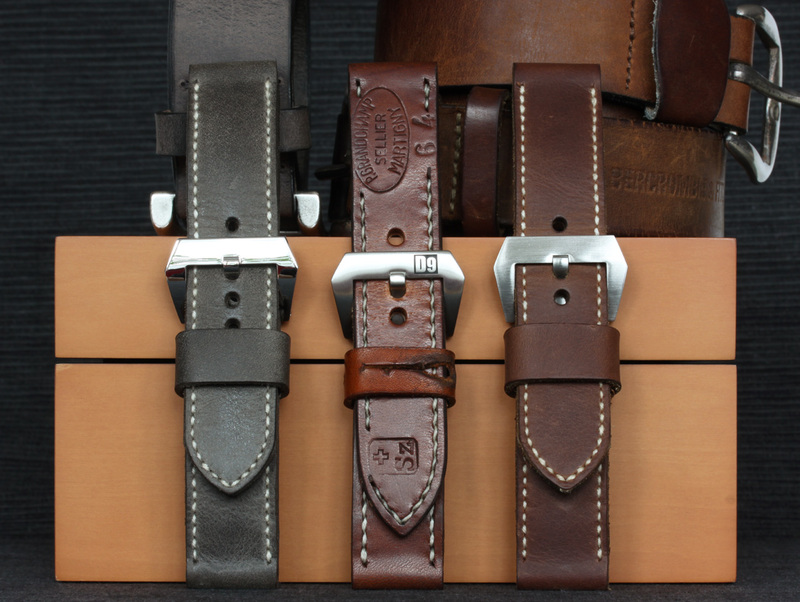 On the long side, he "finishes" the strap with additional material (lining) and on the short side, he simply doubles the ammo leather over the complete length. 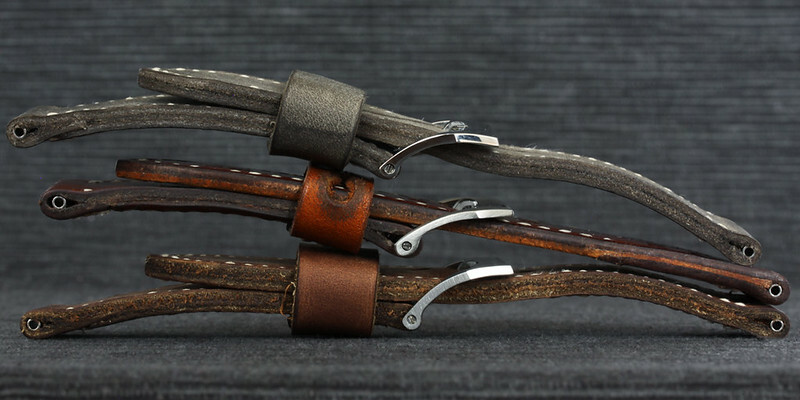 This permits the strap to run 4~5mm in thickness (4mm towards the "tail" of the strap, where the lining is much thinner than the pouch's original leather). D9's gone and done it again! Same great quality as the first, fit & finish is perfect I'll let the photos do the rest of the talking!